The Coastal Carolina Chanticleers have made it to the finals of the College World Series in their first CWS appearance. The school’s baseball program had fallen on hard times when coach Gary Gilmore arrived there in 1996. 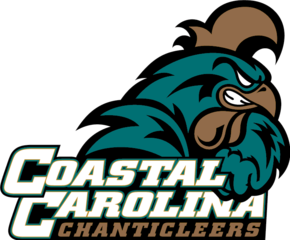 The previous year the Chanticleers won only 17 games, compared with 53 wins so far this season. Part of the reason for the team’s lack of success was the questionable commitment of some of the players. Gilmore says that a player on his first team informed him that he couldn’t come to practice the next day because it conflicted with his job as a bartender on the beach. Are you fully committed to your church? This entry was posted in Christian Living, Church, Sports and tagged Coastal Carolina Chanticleers, College Baseball World Series, commitment, excuses, Gary Gilmore, illustration, service in the kingdom of God. Bookmark the permalink.